On 26 September 2016, the Federal Public Health Office (OFSP) announced Swiss health insurance premiums for 2017. The average increase across all cantons and insurance companies will be 4.5%, ranging from 3.5% to 7.3% depending on the canton. These figures are for standard cover for an adult with a deductible of CHF 300, including accident cover. The problem of rising health insurance premiums in Switzerland is not new. Over the last 20 years the average annual increase has been 4.6%, although the last 10 years have been better, registering an average increase of 3.6%. The worst affected cantons this time are Jura (7.3%), Glarus (7.1%), Valais (6.4%) and Appenzell-Innerrhoden (6.4%). In Zurich (3.7%), Geneva (5.7%), Vaud (4.9%), Bern (3.5%) Zug (3.9%), Lucerne (3.8%) and Basel-City (4.0%), the rises are more modest. The cantons with the highest average monthly 2017 premiums are: Basel-City (CHF 567), Geneva (CHF 554), Vaud (CHF 495), Jura (CHF 488), and Basel-Landschaft (CHF 488). The lowest five are: Appenzell-Innerrhoden (CHF 348), Nidwalden (CHF 361), Ury (CHF 369), Zug (CHF 376) and Obwalden (CHF 376). The highest, Basel-City is 63% more expensive than the lowest, Appenzell-Innerrhoden. The Swiss average for 2017 is CHF 447 per month. Click here to see premiums and increases for all cantons. Premiums for children and young adults will rise more than those for adults. The average rise across Switzerland for adults is 4.5%, for young adults 5.4%, and for those 18 years old or younger, 6.6%. Cantonal differences for children vary substantially. In Appenzell-Innerrhoden (9.9%), Geneva (9.7%) and Solothurn (9.1%) the rises are all above 9% for children. In Zurich (5.9%), Vaud (7.6%), Bern (4.9%), Zug (5.7%), Lucerne (6.0%) and Basel-City (5.1%), the rises are less steep. The OFSP says the big rise for children is due to their premiums over the last few years not being high enough to cover their costs. Insurers must offer lower premiums to children, however the discount is not fixed by law. So called low cost insurers have had their image battered over the last two years. 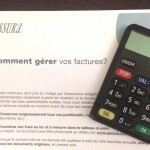 One, Assura, typically had a high percentage of insured parties with the highest deductible of CHF 2,500. Those choosing this option often predict they won’t need to visit a doctor and tend to be low cost members. In 2014, 150,000 new people joined Assura, and fewer of them had the same low cost profile. This increased average medical bill payouts. 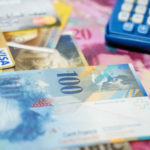 In addition, those insurers with a high percentage of good risks are required to pay into common pot, and Assura’s good aggregate risk profile meant it had to put over CHF 500 million into this central pot. These extra outflows left the company with a hole to fill, so 2016 premiums at Assura shot up enormously. 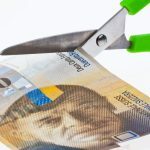 Based on numbers from the OFSP website, a Vaud-based family of two adults, with the maximum deductible of CHF 2,500, and two children with no deductible, insured by Assura, saw their total premium rise by over 20% in 2016. Increases at Assura for 2017 are modest compared to last time – in Vaud adult premiums for 2017 are up 3.3%, and children’s are up 5.0%. Last time Assura shocked with its premiums and lost its position as the most affordable option in Vaud. This time around it is Supra that is turbo charging its premiums. Supra’s 2017 premiums in Vaud will be 15.3% higher than those in 2016. After big hikes last time, at insurers such as Asura, many switched to Supra, then the cheapest option. But because it takes time to build up reserves, one year of premiums from all these new customers was insufficient to build the reserves required. So big increases in 2017 are required to plug Supra’s reserves hole. Speaking to 20 Minutes, Margrit Kessler from the Swiss Organisation for Patients, says the problem is the tarif structure. There is more and more outpatient treatment and less hospital based care. Outpatient costs are fully covered by health insurance, while hospital care is largely financed by the cantons (from tax). Ms Kessler thinks it would make sense for cantons to also contribute to out patient care, then premiums would fall. Others are concerned about tax increases. Every insured person has the right to change the provider of their basic compulsory health insurance. Insurers must tell their members what next year’s premiums will be by 31 October. Members then have until 30 November to cancel their insurance contract. If an existing contract is not cancelled it automatically continues. The OFSP recommends starting the process early to avoid missing the 30 November deadline. It is important to note that it is the date the cancellation letter arrives at the insurance company that matters and not the date it was sent. Using registered post provides proof a letter has arrived. Once the cancellation letter has been sent and received, the switch to a new insurer becomes final when the existing insurance company receives a confirmation letter from the new one. This needs to happen before the end of the year to ensure uninterrupted coverage. Insurance companies must accept anyone wishing to sign up for compulsory basic cover and everyone resident in Switzerland must have this basic insurance. The OFSP website provides a tool for comparing premiums. 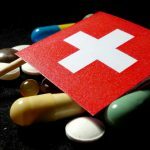 Swiss 2018 health premiums unveiled. Brace yourself. what a surprise for such a free country! !